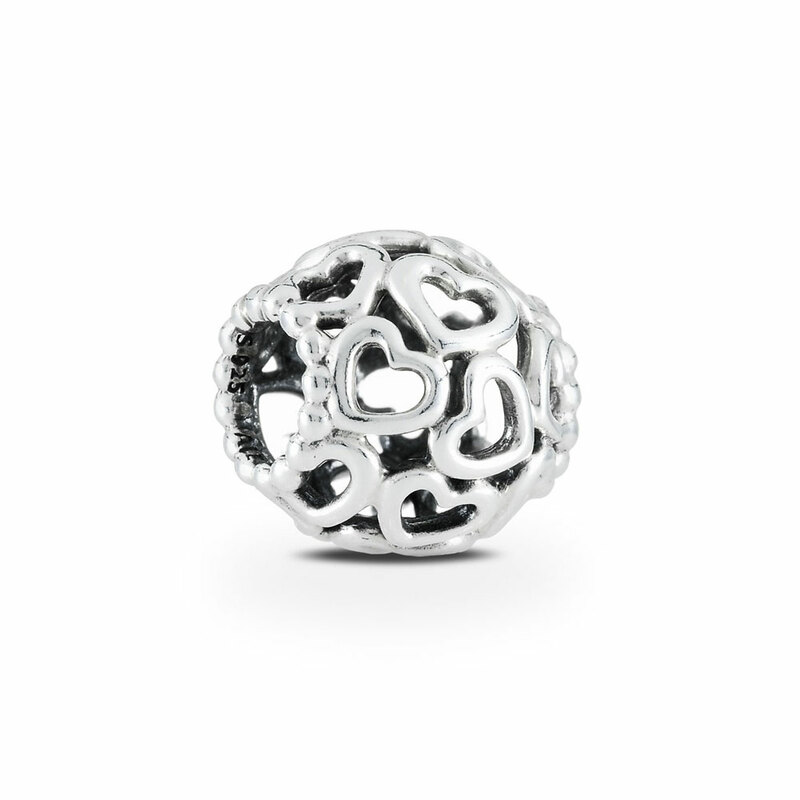 Open your heart and show her your love with this openwork silver heart charm by PANDORA. A perfect gift for that special occasion.This item is a single charm only. Bracelets sold seperately. Styling images may show this charm on a bracelet as styling inspiration. Open Your Heart Silver Charm - PANDORA is rated 4.9 out of 5 by 126. Rated 5 out of 5 by V_xxx from Beautiful I absolutely love this! It looks so elegant and pretty. Totally recommend it! Rated 5 out of 5 by SlimGoodie from Slim I'm new to pandora. I got a mothers day 2018 bangle bracelet nd 2 charms. I loved it so much i made my 1st purchase to have additional charms, my order came in 1 week. Rated 5 out of 5 by Satisfied Customer from Beautiful Charm!! I bought the Open Your Heart charm as a Christmas gift for my daughter and was very pleased with the entire experience! The charm was beautiful, it came in a nice gift box and was delivered within a few days of placing the order online! Rated 5 out of 5 by Nikia W from Lovely Charm! I purchased this charm for a new bracelet, I filled up my other one! I'm very pleased with the way it shimes on my bangle! Rated 5 out of 5 by Nineof9 from Pretty design! I am very satisfied with my choice and the purchase of these charms. They really added to the beauty of my bracelet. Rated 5 out of 5 by Deblynn from Open heart charm Nice addition to my pandora braclet. Fast delivery and packaged nice. Rated 4 out of 5 by Dennis from Open Your Heart Charm It arrived and as always, it looked better than it did on the page. My Lady was very happy with it and it did the job it was purchased for! More to come ...! Rated 5 out of 5 by MarEO5 from Another beautiful charm! Every charm has a statement. This one says "I Love You"